Whats the best gift for a boat owner? 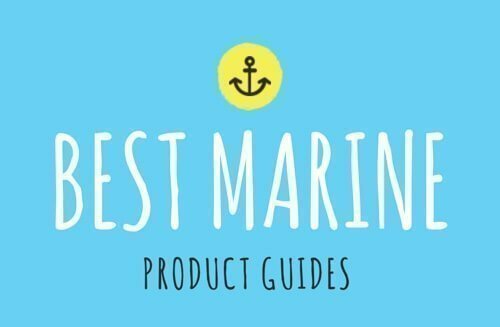 Whether its a special occasion, a birthday, or the holidays if you have boater in your life you know it can be hard to find a unique gift for them that has meaning but is also within your budget. You may also be thinking that there are not any "cool" gifts for boaters but there are so many different accessories and other needed items on a boat that finding something both and trendy is pretty easy. While boating is an expensive hobby and sport there are many gifts, no matter what your price range is; that quite a few people don't even think about. Those of us who are not boaters often times feel that they will not get the right gift or that they will need to spend hours doing research learning about boating in order to get the best gift; and that is just not true. People also make the mistake of thinking that their gift has to be fun or fancy but the truth is for boaters, functional items such as cut resistant gloves, a compass, or personal locator light are things that they need but don't always think about until they are out on the water. We have done the hard work for you making is very easy to find the best boating gift within your budget even for the boater who you think has everything. We have broken out 4 different budget ranges so that everyone can find something special. No more having to fret and worry about finding the perfect gift for your favorite boater! Need a universal waterproof case to ensure your electronics stay dry during your day on the water? 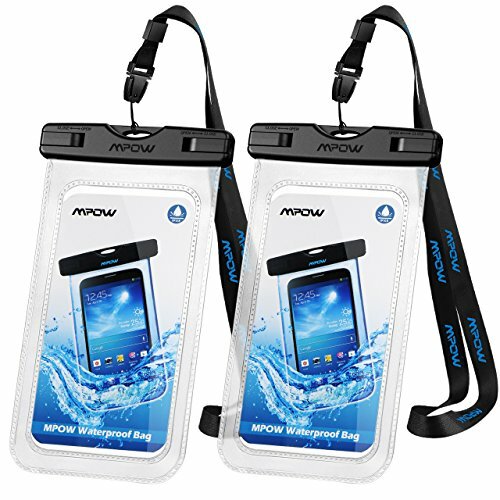 Then the Mpow Waterproof Case is for you with is IPX8 waterproof rating and large size (can store up to 6 inch cellphones) you can also operate your phone (aside from fingerprint lock) through the see through plastic! This is also very budget friendly. Ready to filet your fresh catch on the boat or maybe shuck some oysters? 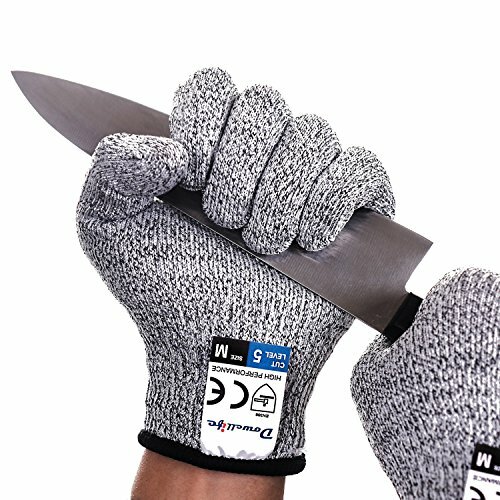 Don't forget to get a cut resistant pair of gloves to keep your hands and fingers safe! The Dowellife Cut Resistant Gloves offer level 5 protection (the highest possible) to minimize the possibility of cuts. Their low cost means the additional safety won't set you back. Paying to have your boat or watercraft detailed can be expensive. 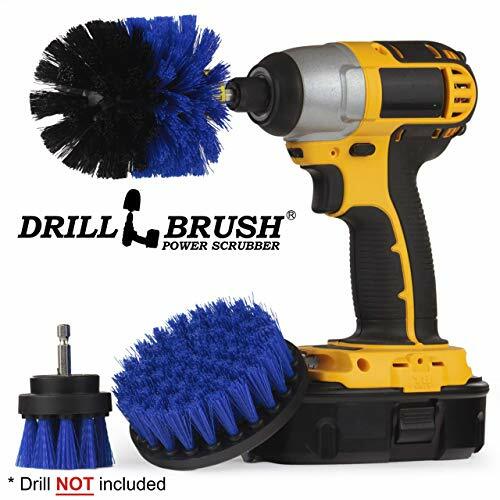 Many boat owners prefer to do the cleaning and detailing themselves which is why the Drillbrush Rotary Cleaning Brushes are a perfect gift for anyone with a boat or water craft. These brushes work great in rounded corners on swim steps and fiberglass. This is perfect for a small budget. Having a flashlight on our boat is a necessity and having a waterproof flashlight is the best way to go. 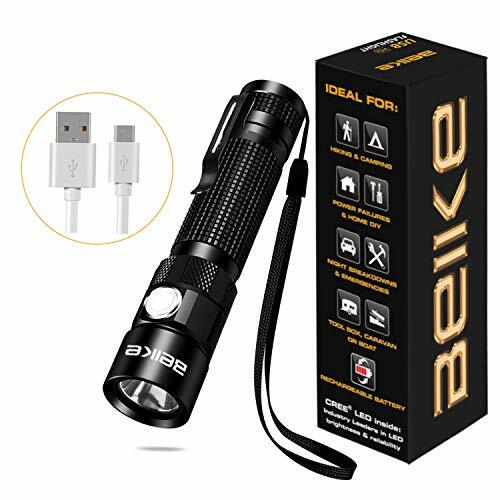 The Beike USB rechargeable flashlight is small, IPX8 waterproof and includes a strobe SOS function should you be be without a VHF radio on your boat. Its bargain price makes it a perfect gift for boaters who like to night fish or just want to ensure they have a reliable waterproof flashlight with them. 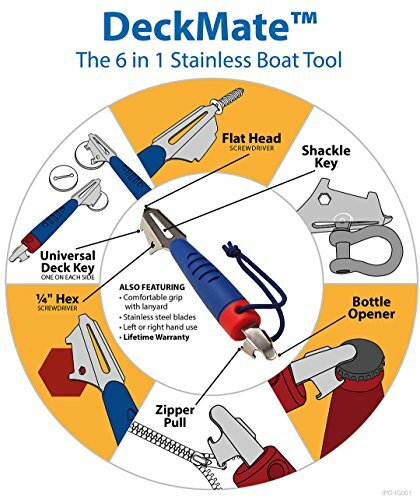 Having a good multi-tool on your boat is essential and the DeckMate 6-in-1 Boat Tool includes two deck keys, shackle key, zipper pull, screw driver, hex tool, and bottle opener so you are ready for whatever you may need to open while on the water. The DeckMate has stainless steel blades and a lifetime warranty. It also includes a lanyard to keep it from slipping into the water. Staying smelling fresh is important especially after a day on the water. 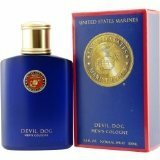 The US Marine Corp Cologne for men is a great fragrance and makes the perfect gift for the boater in your life who wants to make sure he stays fresh after being out all day. This 3.4 ounce spray bottle will last a long time and with its reasonable price is a good bet. If you want to enjoy a nice glass of wine on your boat you know that you really don't want to take glass or crystal on the water with you. 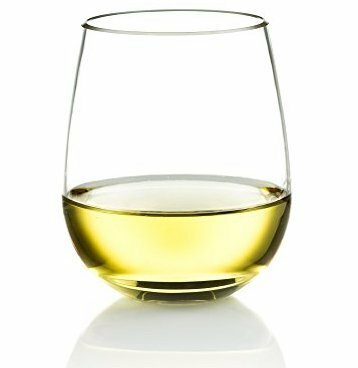 These unbreakable plastic wine glasses are your perfect choice. They are also dishwasher safe and come in a classic design. Their low cost also means you don't need to worry if you lose one or have a lot of people coming on your boat! Nothing is more important than your safety on the the water and the UST SplashFlash 25 Lumen Mini-Lantern and personal locator light makes a great choice if you want to make sure your boater stays safe and you stay under budget. 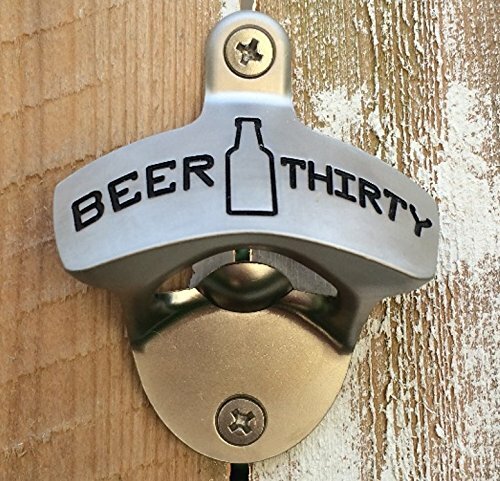 Out on your boat and looking to crack open your favorite frosty bottle of beer but forgot your bottle opener? Look no further than the Barware Gear Wall Mounted Bottle Opener with stainless steel screws. The perfect accessory for your party barge or ski boat for celebrating after a long day on the water. While we have all dropped our car keys at some point dropping your boat keys can have disastrous consequences out on the water. 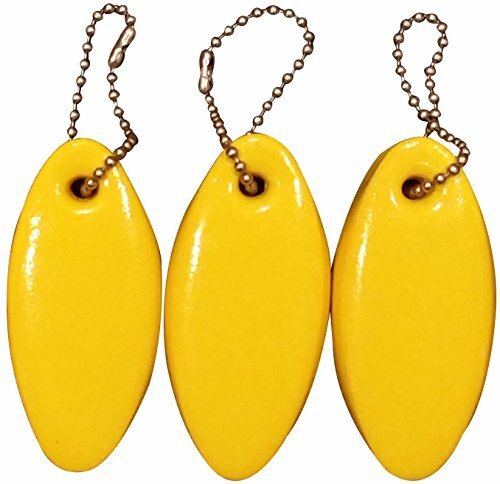 A floating key chain is one of the cheapest pieces of insurance you can buy for your boat keys as you will never have to worry if they fall overboard. These floating key chains are available in a wide variety of colors, are vinyl coated for durability and have a heavy duty 6 inch stainless steel ball chain. Having a first aid kit with you when your out on the water is very important. 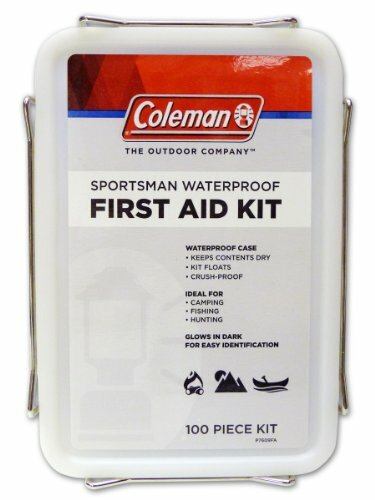 The Coleman Sportsman Waterproof first aid kit is a great choice for boaters. This 100 piece kit includes everything you need for mild injuries giving you time to get back to shore or call for help. The waterproof case floats and is crush proof to ensure the contents are damaged. The first aid kit is also very reasonable making it a great budget gift. Boaters know the importance of having a good quality dry bag on their boat to keep essentials and electronics dry. 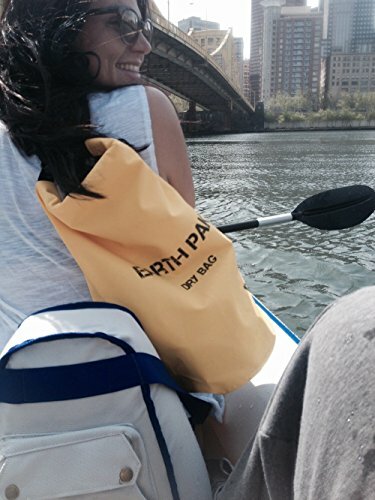 The Earth Pak Waterproof Dry Bag is a roll top compression sack and will keep your gear dry on your boat, kayak, or jet ski. It also includes a water proof phone case as well. Its low price makes it a great gift no matter your budget. 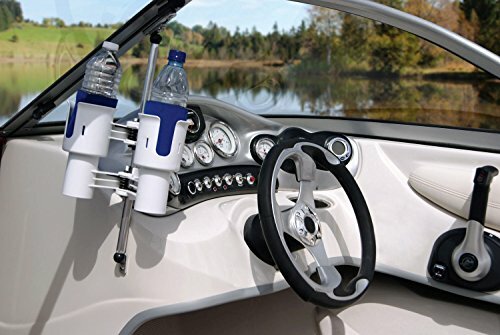 Keeping your drink or bottle of water stable on the boat means you need a cup holder specifically built for use on boats. The Robocup holder is just that. In addition you can use them as fishing rod holders; this added versatility will come in handy. These cup holders also come in a variety of colors so you can match them to your boat if wanted. Their great price make them even more attractive no matter what your budget is. Need to make sure you have a waterproof note pad to jot down important thoughts or ideas next time you are out on the water? Look no further than the All Weather Top Spiral Notebook. 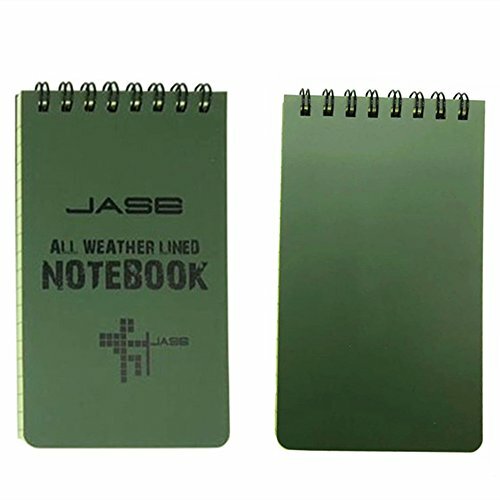 This 3x5 waterproof pad is perfect for your next outing. While you will need to use a pencil or waterproof pen to ensure your ideas do not bleed off the paper its cheap price makes it a great choice. Get a captains hat to go with your boat so that everyone knows who is manning the helm. 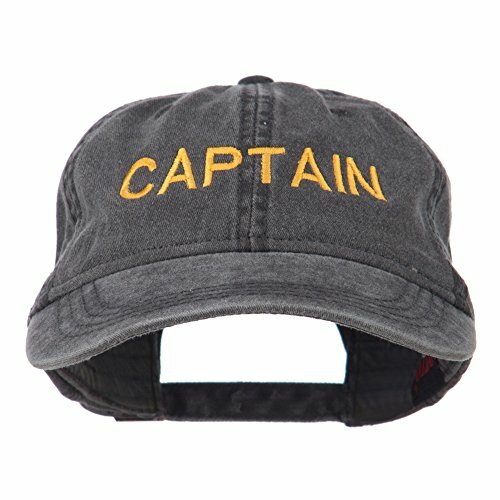 This Captain's hat is made out of 100% cotton so you know it will be soft and one size fits almost everyone with 93% of customers reporting that it fits. While many of us dream of having a power boat its important to remember that there is a lot of information to learn in order to operate your power boat safely. Whether it is steering with the engines, knowing how to properly dock the boat or probably most importantly how to stay safe once you are on the water. 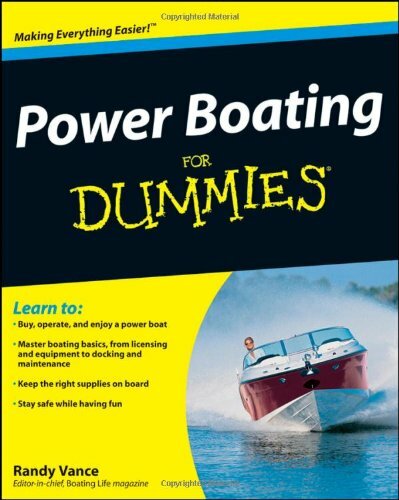 Power Boating for Dummies will answer almost all the questions you have and probably some you didn't even know you had. Its reasonable price will fit into any budget! While most boaters will have a VHF radio with GPS or a standalone GPS unit an Illuminated Marine Compass is always good to have as a back up should your radio/GPS unit fail. 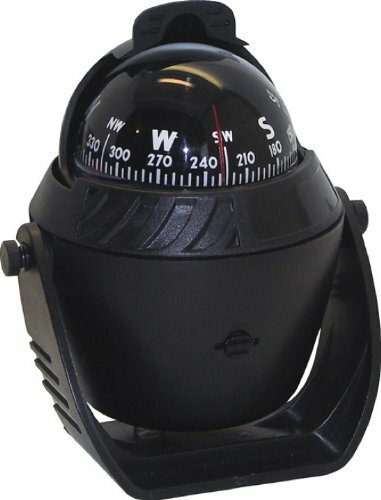 This compass comes with a 12V back light making it great for night time use and is also UV protected so it will not fade from sunlight. It's low price makes it a good choice for small budgets. 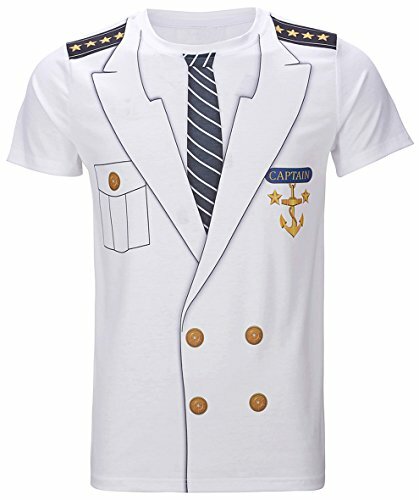 Whether your looking for a Halloween costume or want to buy the boater in your life a themed shirt the Captain Costume T-shirt makes a great gift. It's 90/10 polyester and spandex construction is durable and drys quickly making it ideal for days on the boat. The Captain shirt is also very affordable for any budget. Looking to dress up for that special occasion and need something nautical themed? 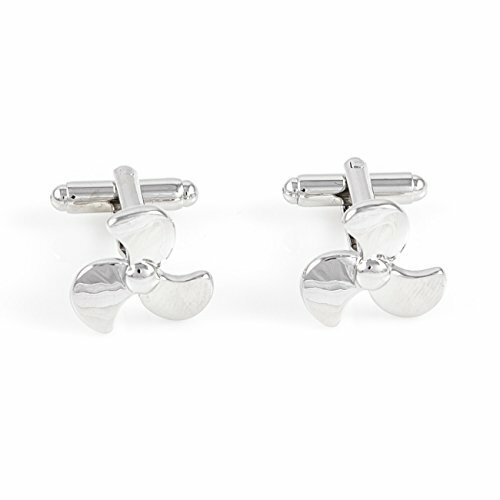 Look no further than these Propeller Boat Cufflinks. These cufflinks make a great gift and come with a presentation box. A microfiber polishing cloth is also included so you can always keep them looking their best. These cufflinks are reasonably priced fitting them into any budget! If your in need of a portable LED bow light Innovative Lighting's suction cup bow light makes a great choice. 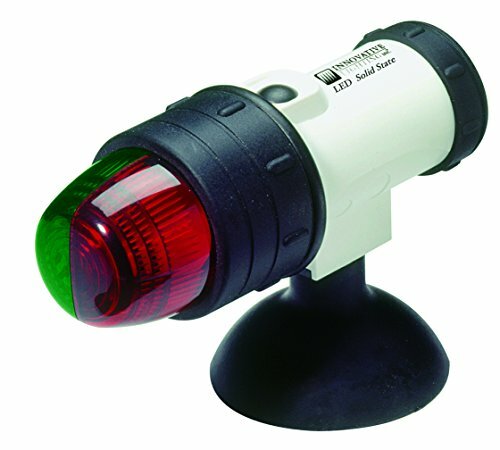 With its shock proof construction and 100,000 hours of service life you will not have to worry about replacing the bulb and the powerful suction cup ensures that it will stay attached wherever you need to place it on your boat. Looking for an all weather waterproof blanket to keep on your boat for when the days or evenings are not as warm as you would like? 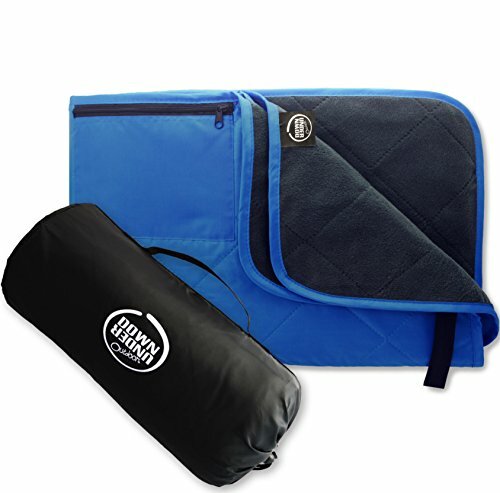 Down Under Outdoors quilted fleece stadium blanket checks all the boxes for a high quality, large blanket that you can take with you on any trip and know that you will be able to keep warm. This blanket is also machine washable so there is no need to worry about the extra work of hand washing it after a long trip. During the summer months nothing is better than diving into the cool clear water and exploring the world under the water. 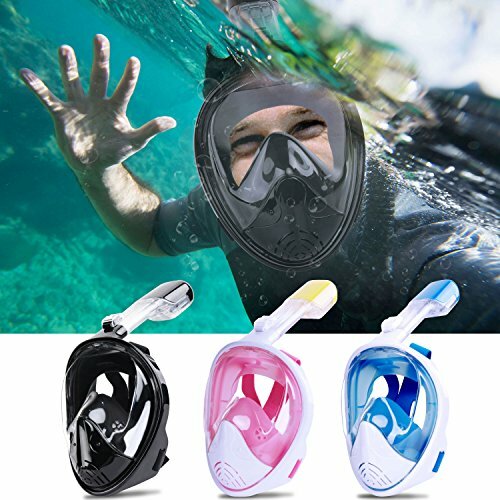 Greatever's foldable 180 panoramic free breathing full face snokel mask makes your under water excursions so much more enjoyable. This snorkel mask includes a GoPro mount and is anti-fog and anti-leak ensuring nothing disrupts your snorkeling adventure. While we enjoy boating one necessity is having shoes that dry quickly and are non-slip. These Speedo Men's Seaside Water Shoes are the perfect match for your boat and outdoor activities. Their outsole quickly moves water away making them less likely to slip in wet conditions. They are also light weight and quick drying, so your feet get dry quicker. Boat fenders are mandatory for any boat owner and you can get great value from the Extreme Max's 6 x 22 set of fenders. They come equipped with a needle valve to easily inflate or deflate as needed. They are rated for boats 20 to 25 feet long and come with a two year limited warranty. 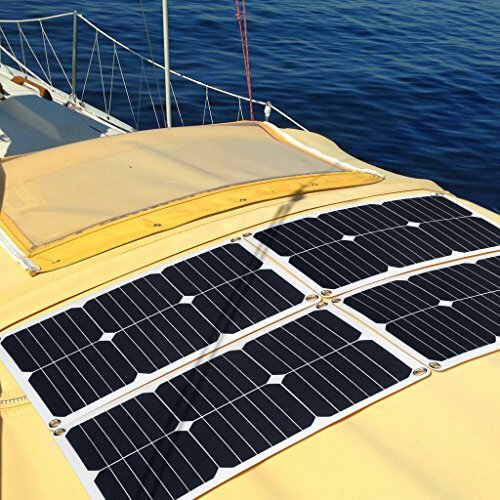 Keeping your battery charged on your boat between uses is imperative to ensure that you will be able to start your motor when you are ready to head out. While you can invest in a regular trickle charger Suaoki's solar panel trickle charger is a great alternative. All you have to do is lay the panel out in direct sunlight and you are good to go. This solar trickle charger also includes a blocking diode so that your batteries do not discharge backwards through the panel during the night when the chargers voltage is lower. Almost every boat needs an anchor and its always a good idea to buy a quality anchor that will last you many seasons especially if you are in salt water. 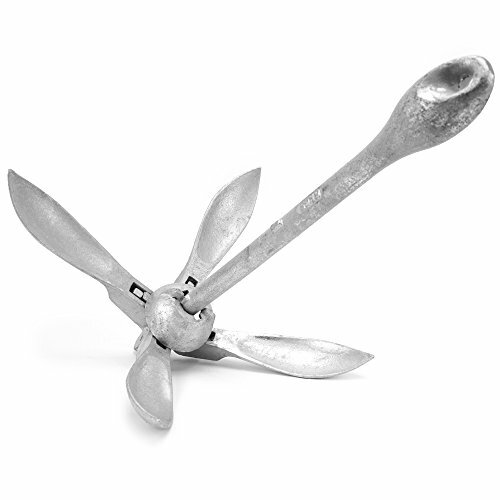 Crown Sporting Goods galvanized folding grapnel anchor comes in a variety of sizes from 1.5 lbs. to 13 lbs. so you will be able to use them on a variety of boat sizes. The anchor easily locks into place for a strong hold and folds down compactly for easy storage on your vessel. When you’re out on your boat in the hot weather keeping your drink ice cold is very important and if you venture out in the winter months having your beverage hot is equally important. 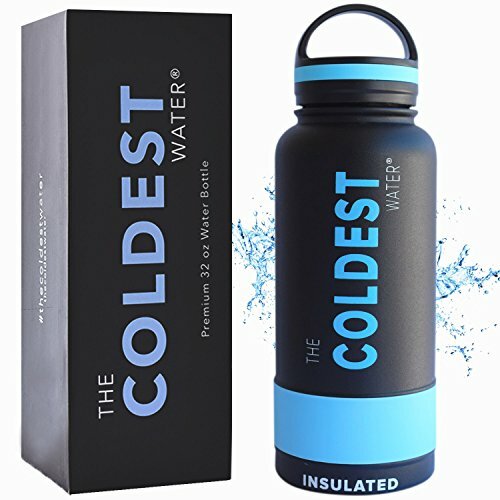 The Coldest Water Bottle 32 oz. insulated travel mug is a great choice to keep liquids hot or cold. This travel mug keeps liquids cold for up to 36 hours and hot for 13 hours. The stainless-steel double walled construction ensures that that it will last for many seasons on any boat. Wearing the right kind of clothes on the water is very important as you will want something light weight and quick drying especially if you are boating in the summer. 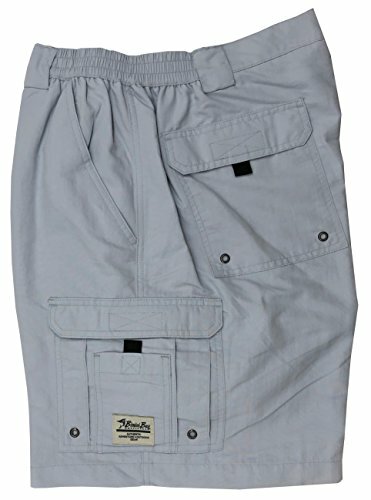 Bimini Bay Outfitters have you covered with their Boca Grande nylon shorts that come in a variety of colors. They are 100% quick dry nylon, machine washable and stainguard protected. They also come with 9 pockets so you will have plenty of room to keep necessities close when out on your boat. 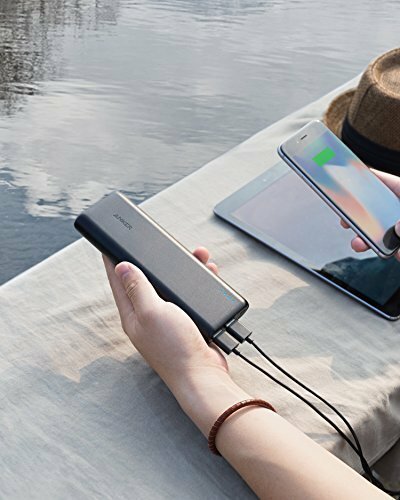 Looking for an ultra high capacity portable charger? Anker's Poer Core 20100mAh external battery pack may be just what you need. This small charger can charge an iPhone completely 6 times or an iPad mini 4 two times. The charger comes with a carrying case, micro USB cable and 18 month warranty so you don't have to worry about having any issues with it for a long time. Being out on the water is a great way to spend the day or weekend; being able to record your time on the water makes it even better. 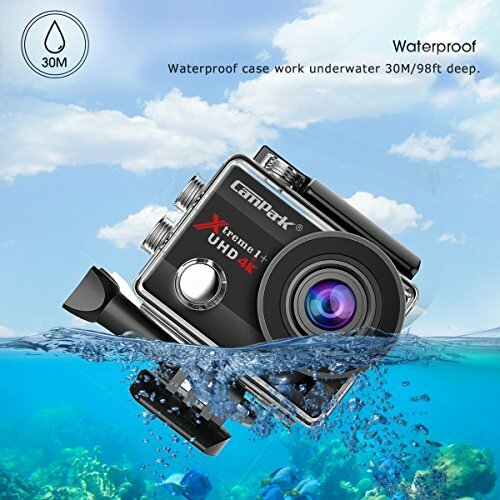 Campark's 16MP 4K WiFi waterproof sports cam with 170 ultra wide angle lens lets you capture all the fun and adventure of your boating trip. This camera is waterproof up to 98 ft. and shoots 4k at 30 fps. The 180 minute run time ensures you will be able to capture all your memories as well. The built in WiFi allows you to share your videos easily on Facebook, Twitter, and other social sites. Protecting your boat from the elements is vitally important whether you are storing it at the marina or in your back yard. 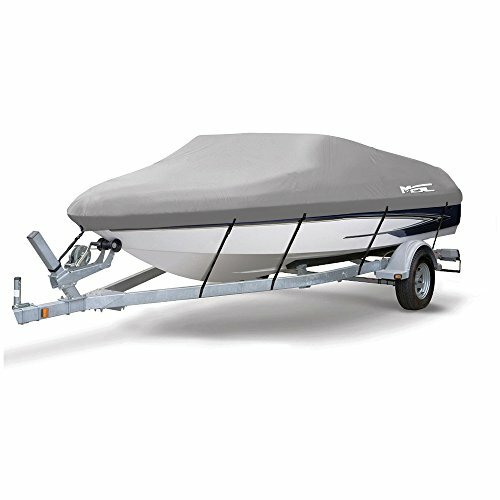 A boat cover is essential and MSC's heavy duty 600D marine grade polyester waterproof cover is a good value choice considering the price. This cover can also be used during trailer transport and is UV and mildew resistant. A three year limited warranty is another reason this is one of the best boat covers. Being able to spot debris, obstacles, or people in the water or on land is important when venturing out. 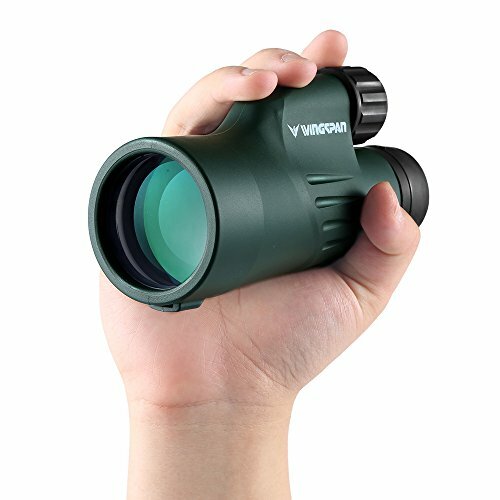 Wingspan Optics Adventure 10x50 waterproof wide view monocular is a great tool to have on your boat. you can easily spot objects up to 1,000 yards away. 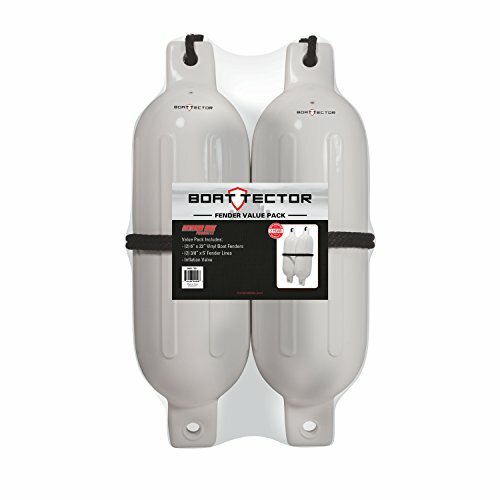 The rugged waterproof construction means you won't need to keep it in a dry bag on your boat or worry about it jostling around. Great music will make every boat trip better and Pyle's Bluetooth marine receiver stereo and speaker kit is an inexpensive way to add music to your boat. 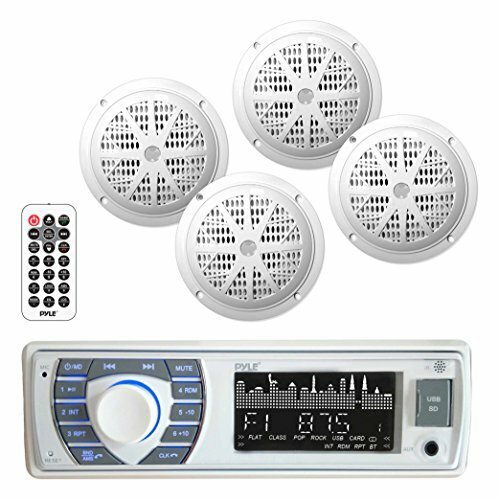 This kit includes the receiver and four 6.5 inch waterproof speakers as well as the hardware necessary to install. The included remote allows you to control the stereo from anywhere on the boat and the built in Bluetooth allows you to take calls from your cell phone or stream audio from phone as well. 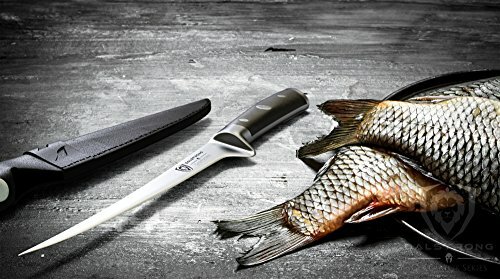 Every fishing boat needs a high quality filet knife and Dalstongs 7 inch flexible filet knife is a great buy. The Dalstong is made of German high carbon steel and comes with two sheaths, a flexible and hard plastic so you can store your knife safely in many environments. Due to the flexibility of the knife boning, filleting, trimming, and butterflying are a breeze. If your a fisherman then you know the importance of having a good fish finder on your boat so that you can not only locate fish but mark the exact spot for future trips. 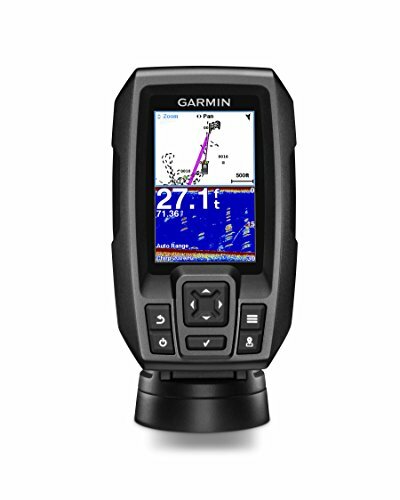 Garmin's Striker 4 with GPS and CHIRP traditional transducer is a great entry level fish finder sure to please every angler. The simple navigation panel allows you to easily switch between functions and mark your favorite fishing spots. With a depth range of 1,700 feet in fresh water and 750 feet in saltwater you can find fish almost anywhere. Having ice on hand to keep your drinks cold on the boat is important on a hot day and who wants to keep their ice in a bag in the cooler along with everything else? 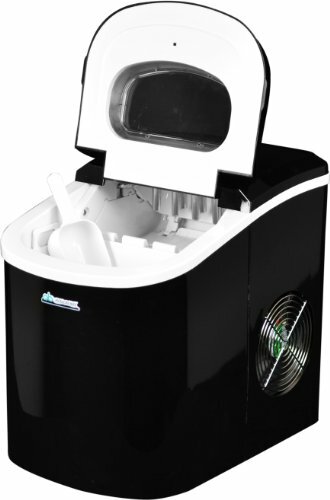 Avalon Bay's portable countertop ice maker can make 26 pounds of ice per day so you never have to worry about running out while on the water. Ice is made every 6 minutes and indicator lights show you when the ice basket is full or when you need to add more water. Being out on the water you need a durable waterproof watch that can stand up to the elements but is also classy. 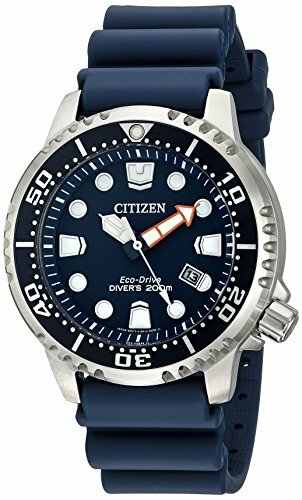 Citizen's Men's Eco-Dive Promaster watch is a perfect choice. With its unidirectional bezel, blue dial and luminous face you will never need to worry about knowing what time is it. This eco-diver is waterproof to 660 feet and features a 48mm stainless steel case with durable polyurethane band. Keeping your boat in tip top shape means it will need to washed and detailed regularly not only to keep it looking great but also to protect it form the UV rays. Many boat owners choose to do this themselves as it can be expensive. 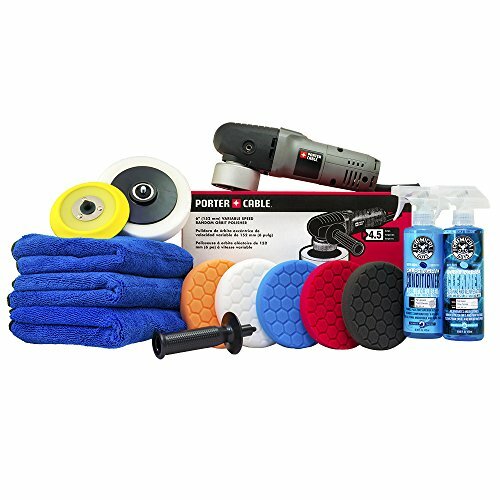 The Chemical Guys complete detailing kit comes with everything you need to keep your boat looking like new. This polisher has a variable speed motor from 2,500 opm (oscillations per minute) to 6,800; pads towels and a back plate are included. Every boater needs a VHF radio on their boat for communication and emergencies. The Standard Horizon HX890 two way radio is an excellent choice with a built in FM receiver and rugged construction. The built in 66 channel WAAS GPS receiver ensures you will be able to monitor weather conditions and alerts. There is also a scrambler function built in so that you can keep your communications private should you need to. Want to ensure that you are never out of range of family or friends on your boat? 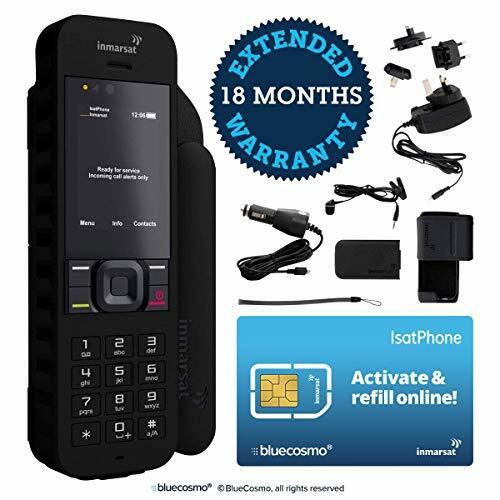 BlueCosmo's inmarsat satellite phone kit with included SIM allows you to always be connected no matter where you are. There are pre-paid and monthly service plans available depending upon how much you will be using it. There are also no roaming charges. The Inmarsat is also water and dust resistant so you don't have to worry if it gets wet or dirty. Being able to spot far away obstacles and other boats from a distance is much easier with a pair of binoculars but who wants to bring their expensive binoculars out on the water as there is the chance they could fall overboard. 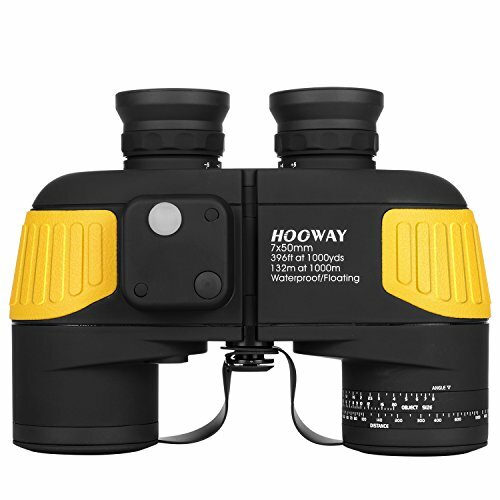 Hooway's 7x50 fogproof marine binoculars not only have an internal compass and rangefinder but also float so you never have to worry if they fall in the water. Looking for an inexpensive all in one dive watch that is still classy? 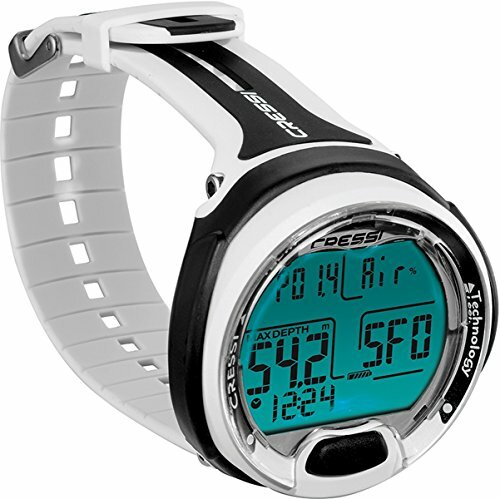 The Cressi Leonardo single button dive computer is perfect for beginning scuba divers and pros alike. With one glance you can see your remaining time under water and the oxygen toxicity indicator. This is a great choice for people who travel and dive as it is inexpensive but still has all the features you need! 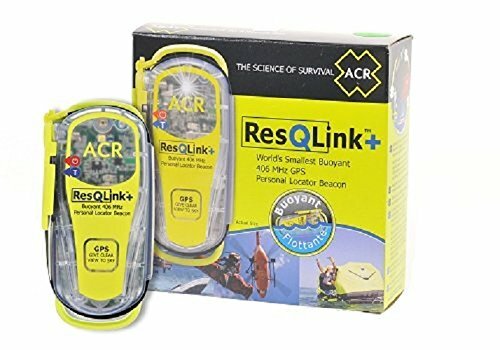 Having a personal locator beacon on your boat is an essential and ACR's ReQLink+ 406 is a great choice. This locator beacon is pre-programmed with the US country code and requires no monthly service fee like some locator beacons do. It transmits on the 406 MHz frequency and is a perfect choice if your shopping for a beacon but don't want to spend a lot of money. Want to explore the water but don't want the upkeep or cost that a boat requires. 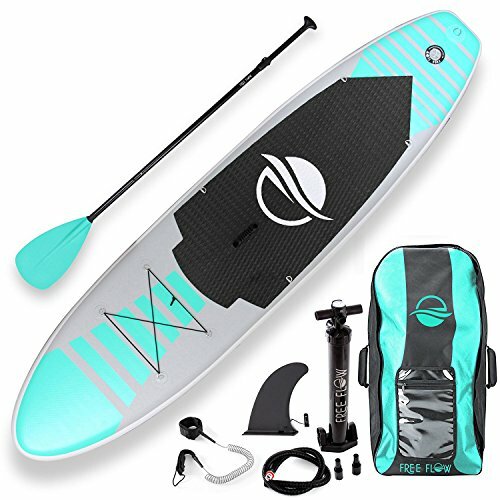 SereneLife's premium inflatable stand up paddle board offers an inexpensive way to explore the water ways. This paddle board is also compact and can be stored easily when not inflated. Its extra wide allowing for better balance and has non-slip top deck. This kit includes everything you need to get out on the water and enjoy the waves. Space is always a precious commodity on a boat and having at least one if not multiple coolers is very important. 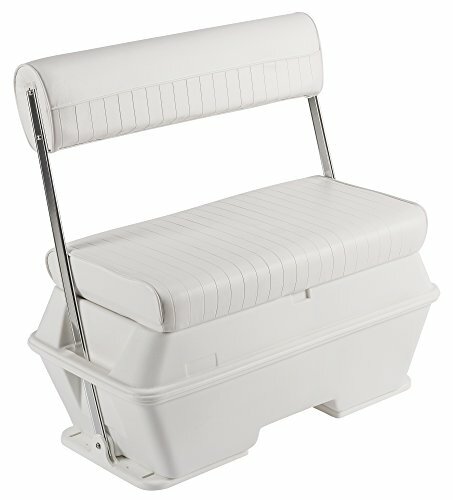 Wise's offshore swingback 70 quart cooler provides a padded seat with back rest and a cooler all in one. The 6 year warranty on the frame and 3 year warranty on the upholstery speaks to its rugged design and ensures it will last for many seasons. Out on the water there are so many things you can do enjoy the day but at some point you will need to refuel and grilling on your boat can be a great way to enjoy good food with family and friends. Magma's marine kettle gas grill is an easy way to cook your next meal on your boat. 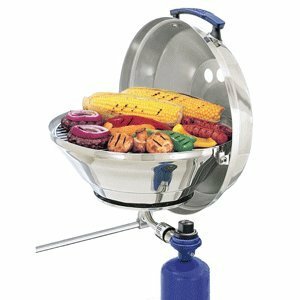 With solid stainless steel construction and stay cool handle boat grilling has never been easier. This grill has both radiant and convection cooking to help you finish your grilling quickly and enjoy the food! Need some tunes on your boat but don't want to invest in a marine stereo? Look no further than the Fugoo tough XL waterproof wireless bluetooth speaker. This portable speaker has 4 tweeters, 2mid/sub drivers, and 2 passive radiators. This speaker can be submerged in 3 feet of water for 30 minutes with no damage. Battery life is impressive as well lasting 35 hours on a single charge. Finally, you can fast charge your phone or tablet from the speaker if needed. 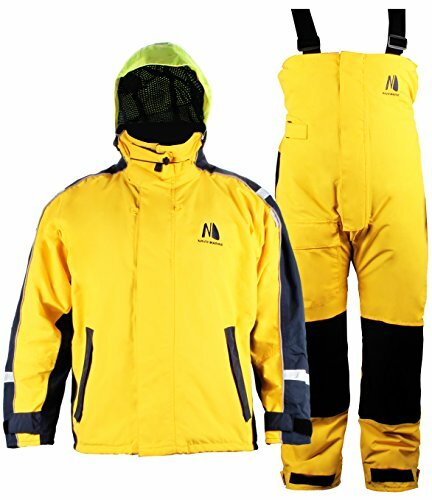 If you love fishing or sailing but the weather is usually rainy or rough when you go out in your boat a Navis Marine waterproof sailing jacket and bib pants may be what you need. They are durable and made out of a Seratex outer shell with a polyester lining. While not great for warmer climates these can help keep you dry while your out on the water. 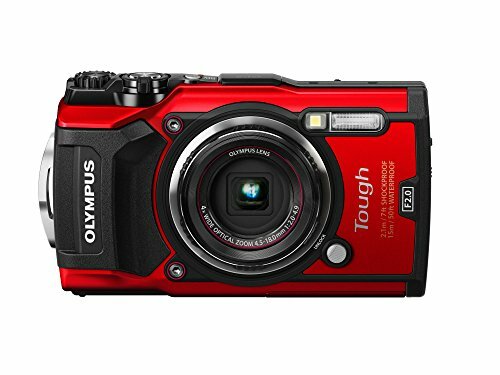 If you need a durable high resolution waterproof camera that can be used underwater then Olympus's TG-5 12mp camera is a great choice. It features underwater compensation, a high speed lens and is waterproof to 50 feet ensuring you can get the best pictures in or out of the water. Looking for a rugged watch specially designed for use in the water or on a boat? 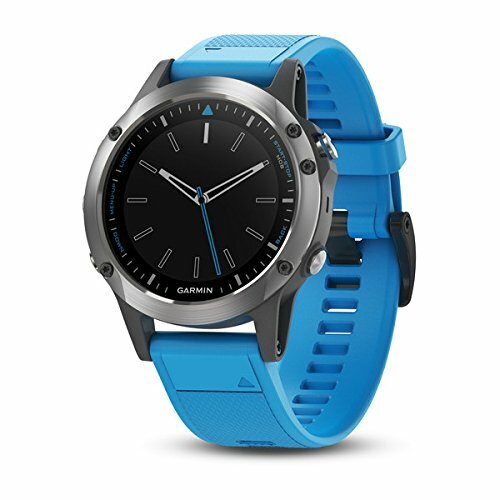 Garmin's Quatix 5 is great choice! It provides connectivity to chart plotters and other marine equipment allowing you to stay informed no matter where you are on your boat. There is also built in GPS and you can control your stereo as well from the face of the watch.